Borrow up to 95% of the unpaid & approved invoice value with our invoice finance services. Fast, hassle-free invoice discounting & invoice factoring services for UK businesses. If you are running a cash-heavy business, you may very well be familiar with the sensitive nature of invoicing cycles. All businesses, regardless of their nature or size, are eventually judged only by the profits they realise, and unpaid invoice can greatly hurt this metric. In the world of business, it’s customary for suppliers to offer the buyer a certain period of time in which they can settle the invoice. Depending on the nature of the business in question, this time window can stretch from a few days to months. This, however, leads to commonplace cash crunches that can severely and adversely affect the profitability, performance and even the day-to-day operations of the business. If your business is going through such hassles every month, invoice finance can be a convenient way to leverage the unpaid invoices and secure fast, affordable credit. Work with some of the most experienced and responsible invoice lenders across the UK. Invoice finance is a secured loan or a temporary line of credit. As the name suggests, this loan is typically secured with the face value of unpaid and approved invoices. Many businesses find themselves in need of cash on an urgent basis. If they have already exhausted other credit options, the only way to raise funds in such cases is to leverage one of their assets. Putting properties or other physical assets up as a security against a business loan is often an expensive, cumbersome and slow process. Invoice finance provides a safe, convenient and remarkably speedier alternative, allowing businesses to access money they are owed, at a small fee. When Should You Choose Invoice Finance? The money you forgo in the form of processing fees and interest payments is outweighed by the benefits of having available an immediate credit. Why Should You Choose Invoice Finance? If your requirements fit the criteria given above, it’s very likely that invoice finance has a lot to offer to your business. Available data suggests that over 60% of invoices issued by SMEs in the UK tend to be settled late by the customers. Therefore, the need to understand what invoice finance brings to the table for your business is real, important and necessary. Since invoice finance is essentially a secured loan, it can be availed despite having a bad credit score. Many lenders on our panel offer up to 95% of the total invoice value as an instant business loan for businesses with bad credit. While other secured loans take weeks to realise, invoice finance is typically processed in a matter of 3 to 5 days. If you have used invoice finance in the past with success, lenders can further expedite the process of approving the invoices. The overall paperwork required in the process is minimal and largely limited to the verification of the invoices. If due, the repayments can be divided into convenient, flexible monthly instalments. There are usually no significant penalties levied on early redemption of the loan in such cases. Invoice finance leverages the value of the invoices. Thus, such loans are already secured in nature, requiring no further attachment of securities on your part. This is, perhaps, the most attractive feature of invoice finance for businesses that do not wish to collateralise their assets. Invoice finance has two major types – invoice factoring and invoice discounting, as discussed below. This is the most commonly used type of invoice finance in the UK. Invoice discounting allows you to directly leverage your invoices for easy, affordable credit. When you use invoice discounting, you need not outsource the collection responsibility to the lender. Customers won’t know that you have leveraged the invoices. Invoice factoring requires you to ‘outsource’ the sales ledger of your business to the lender. The lender will then bear the responsibility of collecting the unpaid dues directly from your customers. Since this also means that the lender will assume any risk that comes with the non-payment of invoices, invoice factoring is typically more expensive than invoice discounting. Running a business is all about registering profits. These profits are tied to the sales, and sales are inherently tied to invoices. So, in a way, invoices, in a way, are vehicles for much of the ‘incomings’ of your business. Allowing lenders who don’t share the ethics and values of your business to oversee an integral part of your business is never a good idea. Much the reason why, when you decide to choose an affordable invoice finance package, it becomes important to also make sure that the lender you choose is experienced, reliable and responsible. 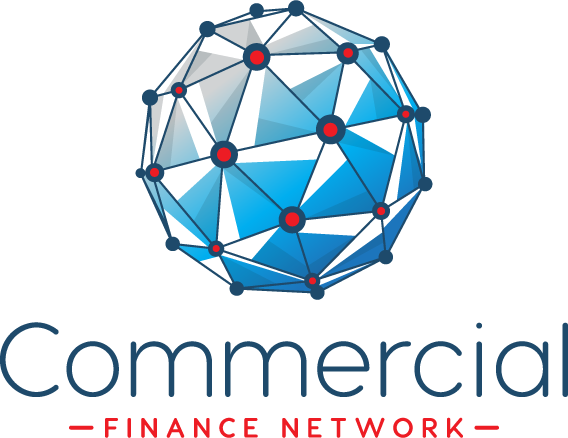 Having extensive experience in the UK finance industry, Commercial Finance Network has access to a panel of some of the most trusted invoice lenders across the UK. Thus, all the invoice finance quotes we present to you are fair and stand in good faith. Our invoice finance offers can help you extract the near-full value of unpaid invoices at low processing fees, without any hidden charges. We offer invoice finance quotes from responsible lenders across the UK. With our services, you can rest assured that your business operations won’t be affected in any adverse manner. While unlocking the full potential of your sales ledger, you can also enjoy some of the lowest interest rates and processing fees with Commercial Finance Network’s invoice finance services. We work closely with lenders to expedite every invoice finance application, meaning that you will have the funds in your account at the earliest (typically within 3 to 5 business days). Our customer service portal is accessible 24 hours a day for all customers. We have also appointed local representatives in every UK district to help you with the paperwork and address any issues that may arise in the process.processing and even repayment procedures. 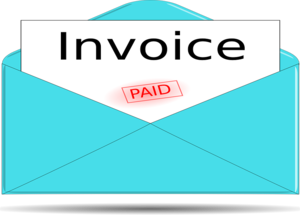 Don’t Let Unpaid Invoices Weigh Your Business Down! Making a business profitable is difficult enough. Keeping it that way, however, is the most difficult part. Unpaid invoices can halt your payments to the supplier and the staff, while also pre-empting the growth of your business. Invoice finance can be a one-stop solution to such problems. That said, it should also be noted that invoice finance will work for you only as long as it’s tailored to fit your requirements. Getting an invoice finance package that’s unreasonably expensive will only see you paying for the money that you are owed. Therefore, going with an experienced whole of market broker like Commercial Finance Network can be the best way for you to make invoice finance work for your business. Fast, fair and flexible invoice solutions are just a call away. Call us today to request a free invoice finance quote or arrange a call back from one of our Invoice Finance Experts!